Beginning near the beginning: It’s hard to understand the video and photography tools we use today without understanding where they came from. Perhaps Thomas Edison comes to mind, but can you name all his inventions? Here's a hint, he was alive from 1847 - 1931. Never get discouraged if you fail. Learn from it. Keep trying. Learn with both your head and hands. Not everything of value in life comes from books-experience the world. Never stop learning. Read the entire panorama of literature. Take a look at a video from 1940 made by Bell & Howell that explains how 35 mm film cameras work. You have 5 min to research: the history of film and write down all the inventions, names, and dates that you can! 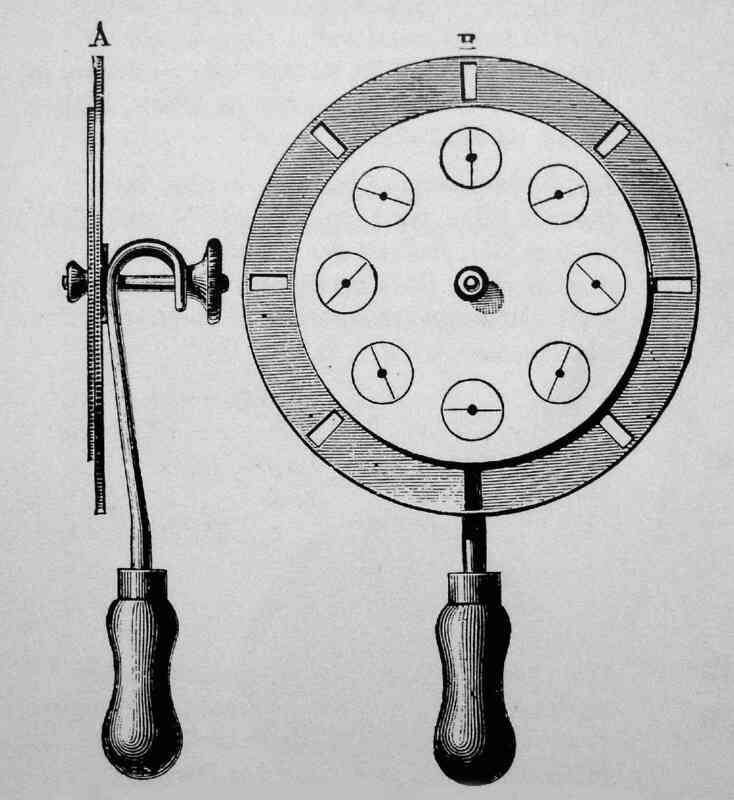 The Beginnings of Cinema History of photographic recording of still and moving images. 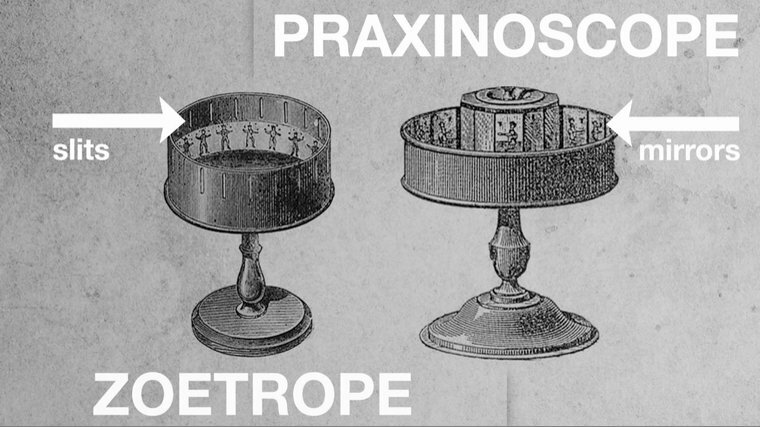 What is a zoetrope or a praxinoscope? These are both manually operated animation tools that were invented in the 1800s. Both allowed stand-alone drawings to appear as alive and animated when shown through either tool. A zoetrope or praxinoscope is really just a short, 12-frame animation, that repeats over and over and over again. This might remind some of you of modern-day gif files. Bitmap image meaning grid of pixels displayed. Film your own footage to make original gifs; student examples coming soon!